Funkadelic never said that a lecture is funkier than a party — but they weren’t far off. To wit: understanding why one of New York’s hottest techno tickets this weekend isn’t some 2 a.m. DJ gig in a Bushwick warehouse, but a talk that members of Detroit’s Underground Resistance (UR) collective will give with visual artist Kevin Beasley at Performance Space (formerly P.S. 122) during civilian hours, requires knowing some history. In today’s dance-music discourse, that’s like being asked to eat your spinach. Yet now more than ever, as Brooklyn’s club scene churns with money (real estate!) and talent (heavy on incredible female and queer DJs and producers) the all-too-rare appearance by UR in the city partly built on commodified beats is a nutritional reminder that those who don’t know their past will have trouble creating a useful future. Maybe not so much musically, as socially and economically. Because the gospel of global, sustainable techno ethics has long been part of UR’s message, whether delivered from a DJ booth or at a roundtable. Underground Resistance was founded in 1989 by “Mad Mike” Banks, a Detroit session musician of some renown, and Jeff Mills, whose DJing reputation leaped off the city’s FM band to earn him the nickname “The Wizard.” The hard-hitting, machine-subverted dance music they and early members like Robert Hood and Blake Baxter exported to London and, especially, the newly reunified Berlin, gave UR an almost-instant international audience. In the process, the Afro-futurist, anti-corporate, music-first/ego-never DIY values these young African-American men brought from Detroit — often spelled out on the record labels and lacquered into the grooves of their 12”s — helped define the city’s uncompromising dance scene. Not for nothing was UR labeled, “the Public Enemy of techno,” or that UR T-shirts stand next to only the Olde English font of the Tigers’ D, as the classic, in-the-know fashion accessory signifying the city’s techno heritage. Central to UR’s self-empowering approach was the collective’s early decision to control all the modes of creativity and production. For that purpose, they established Submerge, a distribution company that over the last quarter century has helped distribute many of Detroit’s great independent dance labels. While the mainstream media narratives typecast the city as poverty-stricken by drugs, crime, and the death of the automotive industry, Submerge showcased Detroit’s undiminished musical side, while also embedding techno rebellion and uncompromising perseverance beside Motown’s DNA. Despite the exceptional artists who had laid the foundation for UR, that model was less individualist than collectivist in its mentality. 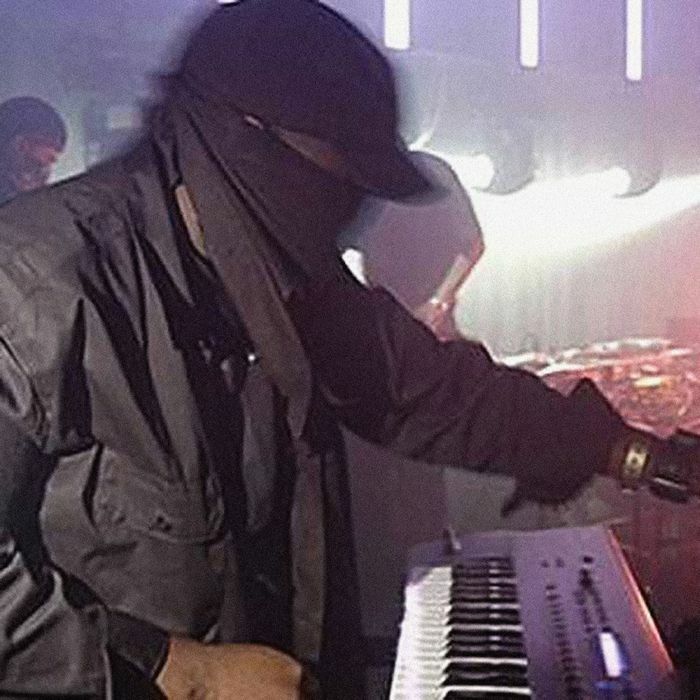 Members performed in masks, refusing to be photographed, and when older artists left for solo careers, they were replaced by new “soldiers.” DJ Dex, a third-wave member, calls UR’s a “blue-collar techno” created for “research and development” purposes. And though they had the odd “hit” — most famously, DJ Rolando’s 1999 smash, “Knights of the Jaguar,” which Sony Germany, seemingly unaware of the collective’s stance towards corporate entities, first attempted to license, and then bootlegged as a cover version, before being issued a cease-and-desist — UR’s inspiration and perspiration trumped the notions of both traditional success and genius. And though Harris prefers to let UR’s work speak for itself, he’s not without anecdotes as to how the group’s ethics work in real-time, or the purpose he hopes they will serve.